Don McLean Reflects On 60th Anniversary of Buddy Holly’s Death and “The Day The Music Died” | 2911 Enterprises, Inc.
NASHVILLE, Tenn. – On February 3, 1959, a chartered aircraft crashed in Mason City, Iowa just minutes after takeoff claiming the lives of Buddy Holly, Ritchie Valens, J.P. “The Big Bopper” Richardson and the pilot, Roger Peterson. The fateful day was coined “The Day The Music Died” by iconic singer and songwriter Don McLean, in his hit song “American Pie.” As the 60th anniversary of the tragic plane crash approaches, McLean has not forgotten the day that inspired his magnum opus. “American Pie” was released in 1971 and spent four weeks at No. 1 in 1972. In 2001, thirty years later, the Recording Industry of America named it the fifth greatest song of the 20th century. 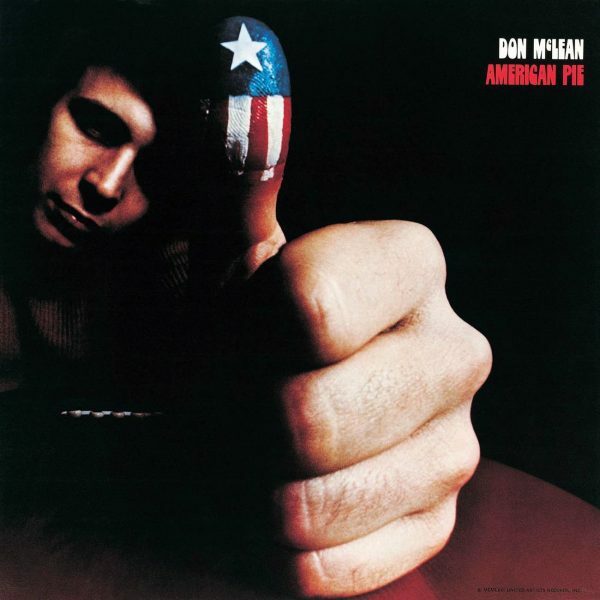 In 2016, McLean re-released “American Pie” in celebration of the 45th anniversary. Music lovers can hear his classic songs on their original vinyl format. The single has been newly remastered from analog tape by Robert Vosgien and the lacquers cut by Ron McMaster, both at Capitol Studios in Hollywood. One of McLean’s four handwritten copies of the lyrics to “American Pie” was auctioned by Nate D. Sanders Auctions on January 26, 2017 with the bidding starting at $100,000. It is the second copy to be offered to the public, with the first being sold in 2015. The Harvard University Library has a copy, and the final copy is said to have been given to a close friend of McLean. The lyrics are on eight pages of McLean’s personal stationery in blue ink, featuring the American Pie album art of the gold thumbs up and his signature. JAN 31 – Seminole Casino Hotel / Immokalee, Fla.
FEB 01 – Sharon Morse Performing Arts Center / The Villages, Fla.
FEB 02 – Oxford Performing Arts Center / Oxford, Ala.
FEB 09 – Infinity Hall / Hartford, Conn.
FEB 15 – Grand Theater / Wausau, Wis.
MAR 22 – Cerritos Center/ Cerritos, Calif.
MAR 23 – Saban Theater / Beverly Hills, Calif.
MAR 25 – GRAMMY Museum / Los Angeles, Calif.
MAR 30 – Harrah’s Lake Tahoe / Stateline, Nev.
APR 05 – The Birchmere / Alexandria, Va.
APR 06 – The Suffolk Theater / Riverhead, N.Y.
MAY 04 – Towne Theater / Oklahoma City, Okla.
MAY 10 – The Greenwich Odeum / East Greenwich, R.I.
MAY 11 – Paramount Hudson Valley Theater / Peekskill, N.Y.
A New York native, Don McLean is one of the most revered and respected songwriters in American history. After paying his dues in the New York club scene in the late ‘60s, he went on to score mega-hits like “American Pie,” “Vincent (Starry, Starry Night),” “Castles in the Air” and many more. In 2004, McLean was inducted into the Songwriters Hall of Fame by country superstar Garth Brooks. “American Pie” has brought great happiness and hope to millions of people through the years and continues to be honored for its success. In 2000, the song was named one of the Top 5 Songs of the 20th Century by the RIAA and in 2002 was inducted into the Grammy Hall of Fame. 2017 brought a huge honor when the iconic song was inducted into the Library of Congress’ National Recording Registry, joining less than 500 works including “Somewhere Over the Rainbow,” classical music compositions, famous live broadcasts, and similar recordings.